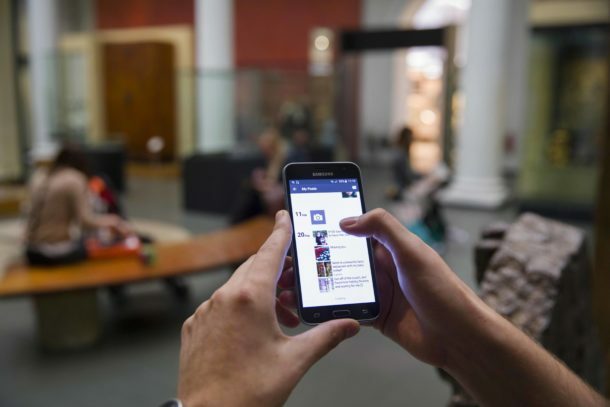 The V&A has added WeChat, China’s largest social media platform, to its permanent collection. 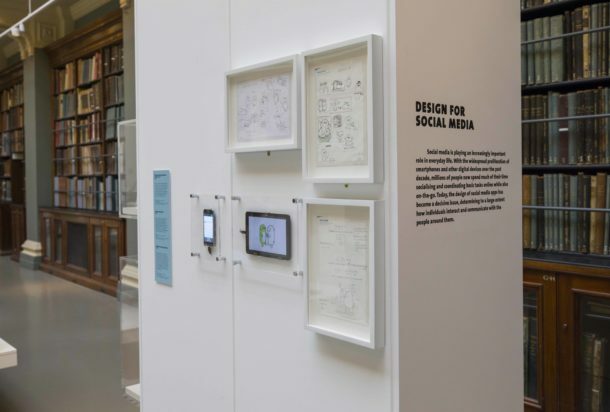 If you’re visiting the museum, you’ll be able to see a small display of the application in Gallery 76 during the London Design Festival and in the ensuing months. To say ‘we’ve collected an app’ elicits a range of puzzled reactions. How do you collect an app? What is the thing you’re actually collecting? And what for? The fact is, collecting digital is a new frontier for design museums. What you collect, how you do it, and why, are very much still open questions. But as more and more of our designed world either becomes digital or is experienced digitally, there’s an express urgency to find ways of collecting and preserving the important aspects of our digital culture. With that in mind, we thought it useful to share the experience of our two-and-a-half year process behind collecting WeChat, and the challenges were presented along the way. 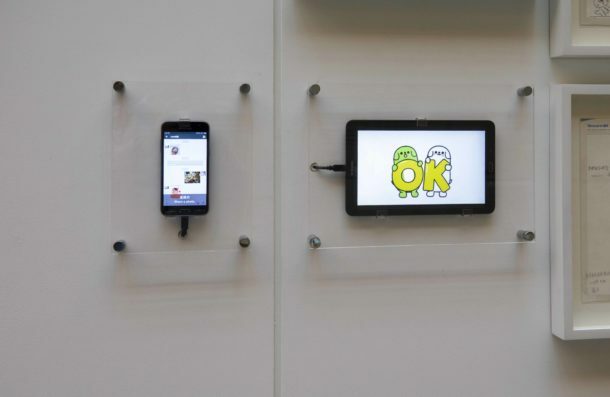 The project to acquire WeChat really began and was made possible through another project: the exhibition ‘Values of Design’ for the V&A Gallery at Design Society in Shenzhen, a key component of the collaboration between the V&A and China Merchants Shekou (CMSK). Indeed, without the spirit of collaboration that transpired, and without having constant feet on the ground in China, the process of acquiring the app would have been impossible. You can read more about the project on this blog, here, and here. Three years ago my colleague Luisa Mengoni moved to Shenzhen as Head of the V&A Gallery at Design Society to oversee the V&A-CMSK collaboration, and I started travelling frequently as lead curator for the project. Early on in working in China, we downloaded WeChat on our phones and set-up personal accounts. For me, it was a convenience, as it was the easiest way to get in touch with people. But for Luisa, it was an absolute requirement, in that so much of daily working life in China seemed to revolve around using the app. We were surprised to hear from architects running large practices who claimed that their entire office ran on WeChat. It was also fascinating to watch the platform grow over time, and see firsthand the impact it had on daily life. With each successive trip I made to China, a new function would have been added to the interface and adopted overnight by its users. In November 2014, it was relatively easy to hail a cab from the street. By 2015, after WeChat set up Didi, an online cab booking service, it became virtually impossible. Everyone was now ordering their cabs on the app. WeChat Pay has also skyrocketed, and each time I visit Shenzhen, I see more and more phones being scanned at the cash register instead of cash being exchanged. Users praise the fact that they can now leave the house with just their keys and their phone. No wallets required. Then there are the functions that the app popularised on a massive scale. Many of these functions would only be adopted by other major apps years later. One of its earliest features was the ability to send quick voice recordings. Back in 2011, when the app first took off, the voice recordings allowed for a quicker alternative to typing, and soon everywhere you could find people raising one end of their phone to their mouth; a gestural cue that they were sending a voice message. There were also WeChat stickers, little animated GIFs, that often featured recurring characters. Stickers were fun, but they were also convenient shortcuts, as you could convey a simple emotion with them, quickly and effectively. WhatsApp, in comparison, introduced a voice recording function in 2013, and Facebook Messenger would only add GIFs in 2015. Of particular interest for us was WeChat’s ‘apps within an app’ design. 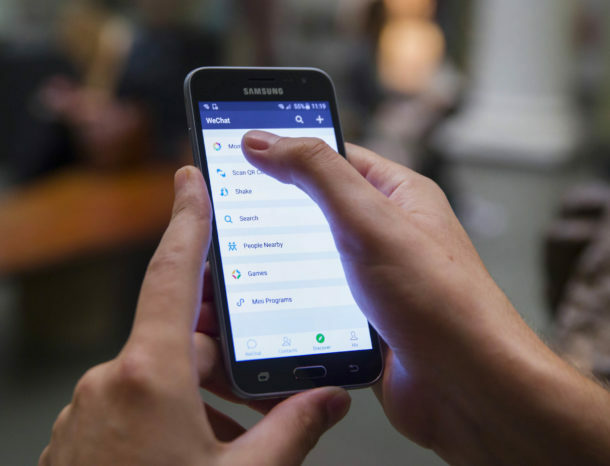 A conventional smart phone user outside of China would typically download several apps and sign in to several services to accomplish different tasks. A ride share app here, a food delivery app there, another one for online banking, and so on. WeChat builds all these services into its user interface, so that you never have to leave the app to perform multiple tasks. It wasn’t too much of a stretch to consider WeChat as the Swiss Army Knife of apps. In fact, I was planning a section of the V&A gallery to look at multifunctional design, and it became an amusing idea to put both these objects together in one display. At the same time, we were conducting a search for good examples of Shenzhen and PRD-made design to acquire for the permanent collection, so that we could also include them in the gallery. And so here the question first arose: why don’t we acquire WeChat? The WeChat acquisition remained as a rhetorical question for a while. The next challenge would be to make contact with somebody directly at WeChat, not only for acquisition purposes but also to present the intention of displaying WeChat in the V&A Gallery, as well as in small exhibition called ‘Unidentified Acts of Design’ for the Shenzhen Urbanism\Architecture Biennale, in which we tried to survey the productive landscape of the city and seek out different and unexpected instance where design processes were being applied. Luisa had been making great gains in building up a network of contacts in Shenzhen around the creative sector, and through various interconnected links was able to access directly the WeChat design team in Guangzhou. Because it was the design of the app that we were ultimately interested in, it was best to be able to speak directly to the people in charge of creating it. We set up a first meeting with the design team at their Guangzhou campus on 17 July 2015. At the meeting, we first discussed the V&A Gallery and our hope to display WeChat in a way that highlighted its multi-functionality. That elicited an immediate positive reception, as indeed the app’s integrated functionality was one of the things the team was proudest of. We also suggested that they be a part of our ‘Unidentified Acts of Design’ show, and gauged their interest in having us film them for the display. Again, they happily accepted. Finally, we discussed how we would like, in one way or another, to acquire WeChat for our permanent collection, but weren’t sure ourselves how that might work. The team was polite and enthusiastic, but like us, were unsure of what that meant. Fortunately, as we were including WeChat in our smaller exhibition and had to schedule follow-up meetings, there was time to mull this question over. To frame things in the simplest way, we asked them to think about the distant future. When we talk about WeChat one hundred years from now, how will we be able to show people what it is? This proved to be powerful way of thinking, because suddenly the acquisition became focused on the question of preservation, and preserving the legacy of what these designers were doing. It wasn’t simply about a museum taking something, but how we address the larger issue of digital preservation. With the one-hundred-year goal in mind, we gradually started to identify what the major difficulties would be. The biggest one was the server problem. All social media applications require connection to a server in order to run. We couldn’t, for example, simply download their APK file, store it somewhere, and then fire it up in one hundred years on an emulator. If the server didn’t exist in one hundred years, then the app wouldn’t work. Given the pace of technological change, we couldn’t rely on the server being the same for the next ten years, let alone one hundred. The second challenge was about content. Social media is not just about the interface, but how it is filled with people’s messages, photos, and so on. And there were obvious legal and privacy issues to taking anybody’s content and preserving it somewhere offline. During our filming at the WeChat campus, the design team pulled us aside and handed us a phone. They had come up with a possible solution for the acquisition. On the phone was the WeChat app. We poked around on it, and asked what it was we were supposed to be looking at. They explained that the version of WeChat we were using, was actually an offline demo that they produced for Apple. Apple has a rigorous screening process before apps are allowed on the AppStore, and so WeChat had to produce demos like this before they could get approval. The demo was server-free, a pure and closed piece of software that in theory could sit on a phone for one hundred years, and still work when you turned it on again. Our problem of how to connect to a server had been solved. We asked if they could develop a similar offline demo for Android, and they agreed. The idea was that we would then load the APK onto a phone, which would officially become our ‘museum object’, which we would store for future display. We would also keep a separate back-up of the APK on our server, which could be loaded onto other devices in the future if need be. Meanwhile, there was still the question of content, and here we decided to make a few concessions. At the moment, it is hard to foresee how we can preserve the dynamic quality of social media, all the incoming and outgoing messages, photos, videos, event notices, shared articles, etc. The legal complexities are just too great. Instead, we decided to simulate it as best we could, by pre-loading content into the APK of a made-up typical user called Star. We asked the WeChat team to script typical chats that Star might have; they also took photos, added content to her ‘moments’ (similar to the Facebook timeline), and made up a list of contacts. To round out the acquisition, we also asked to collect the GIF files of their Bubble Pup sticker series. The character is used as an unofficial mascot for WeChat and we were keen to include a sticker series because WeChat were the first to pioneer GIF usage in chats. The designers were also able to supply a series of pencil sketches which illustrate how their sticker ideas were developed. There were other back-of-house issues at the V&A that needed to be worked out at the same time. We relied on our legal counsel to re-write our standardised copyright agreement forms to take into account the peculiarity of this digital asset. And there were discussions with our Head of Collections Management to understand how to future-proof the acquisition, and best insure that the software could somehow be emulated, when smartphone technology inevitably becomes obsolete. Finally, we come to the question of how to display the acquisition. It might sound perverse after all this effort, but we have no immediate plans to show the APK. Instead, for the V&A Gallery in Shenzhen, and for our small display in Gallery 76, we are making an edited video of a screen capture of the app, in which we go through the motions of a typical user chatting with friends, transferring money, ordering food, hailing a cab, and so on. The video will then be played on a loop on a smartphone. So why a video, and not the APK itself? For starters, in the gallery we want to convey a very specific message about multi-functionality. A video which shows all the functions in use, is simply more efficient at conveying that message. 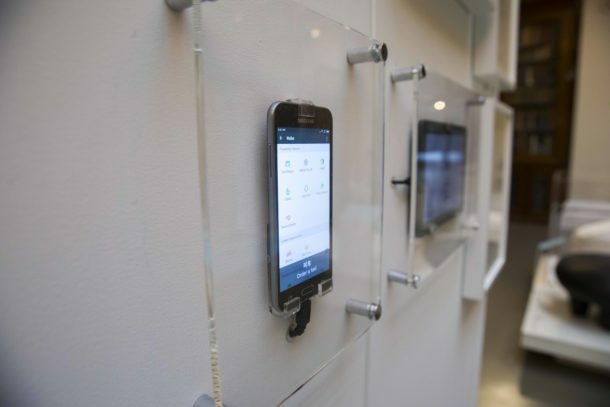 Secondly, a phone on display, in which people can play with the interface, type messages, and so on, which is what our acquisition allows, is simply not that interesting right now for typical WeChat users. After all, they have the exact same interface on their phones. It is our contention that only after the technology has evolved, and we’ve moved on to new devices and interfaces, will the display and ability to interact our APK become valuable. We need to let our acquisition age. A few weeks ago, we got an email from WeChat with a download link to an APK file. We purchased a new Samsung smartphone, loaded the file, and there it was: our acquisition. In the end, it’s an incredibly modest affair. A bit of software, almost like any other, sitting on a phone, like millions of other phones around the world. The small, yet fundamental difference, was our attempt to future-proof it by making an offline version of the software, and our personalisation of it with the fake user Star. What we hope is that this process suggests a way of possibly acquiring other major social media platforms that are defining our daily lives in the 21st century. Could Facebook, Twitter, Instagram and Snapchat all prepare offline versions for museums to store? Can we reverse engineer the process to preserve fast disappearing sites like Friendster and MySpace? And is there a way we can improve on this process, to better preserve the dynamic feeling of these sites, the immense flow of content that streams through them every day? These questions become quite big quite fast. But what I hope this small account has shown, is that by making pragmatic decisions, and bringing in different expertise to wrestle with issues along the way, we can make steps towards better digital collecting and preservation.